Tue., May 22, 2018, 9:03 a.m.
RICHLAND — A Hanford environmental cleanup contractor has earned $9.9 million in incentive pay from the Department of Energy for its work at the nuclear reservation. It would have been more had radioactive contamination not spread during demolition of the site’s Plutonium Finishing Plant. CH2M Hill Plateau Remediation Co., owned by Jacobs Engineering Group, is responsible for much of the Hanford nuclear reservation cleanup, except the site’s waste storage tanks and the vitrification plant being built to treat the waste. The company has about 1,500 employees. CH2M received 89 percent of the possible $11 million incentive pay for fiscal year 2017. Costs for the actual work are paid separately by DOE. Most of the $11 million available fee — 73 percent of it or just over $8 million— could be earned by completing specific projects. CH2M did well on that, earning almost $8 million, or 99 percent of the fee available. The remaining $3 million was based on a subjective review by federal officials. That’s where CH2M lost available pay, earning 64 percent of the pay available, or just over $1.9 million. A one-page summary released by DOE on Monday said the pay determination addressed the spread of contamination at the Plutonium Finishing Plant. Part of the Plutonium Finishing Plant, right, still needs to be demolished. A truck sprays dirt piles, upper center, on demolition debris and a couple of short stub walls that remain from the plant’s Plutonium Reclamation Facility. Demolition of the reclamation facility may have led to the December spread of radioactive contamination at the plant. In addition, the Washington state Department of Health detected very low levels of airborne contamination at the Rattlesnake Barricade just off public Highway 240. The amount of plutonium was below levels considered a risk to human health, but the fact that radioactive particles were found three miles from the plant concerned state officials assigned to protect the public. The pay determination summary said DOE also considered that actions taken by CH2M after the June event did not prevent another occurrence. In December another spread of contamination occurred, and 11 workers were found to have ingested or inhaled small amounts of radioactive contamination. “Otherwise, performance was adequate with a few areas where improvements were needed,” the summary said. DOE did not release information about how much of the loss of slightly more than $1 million in pay was due to the contamination spread. Many of the other areas in which improvement is needed involved paperwork. They included the quality of proposals to change work plans, accounting for depreciation, keeping up with subcontractor audits and analyzing changes from planned costs and schedules. DOE also said vehicle safety needed improvement. CH2M completed work on all 21 projects considered in the pay determination on time, except for one. Successful performance included treating 2.2 billion gallons of groundwater contaminated with chemical or radioactive material and finishing cleanup of the 618-10 waste burial ground just north of Richland. It also made progress on preparations to remove radioactive sludge from underwater containers in the K West Reactor Basin to dry storage in central Hanford, the summary said. CH2M did not have the roof of the defunct REDOX processing plant replaced by July 31, a project meant to stabilize the contaminated building until it can be torn down. The unusually snowy start to 2017 delayed roofing work, but it has since been completed. 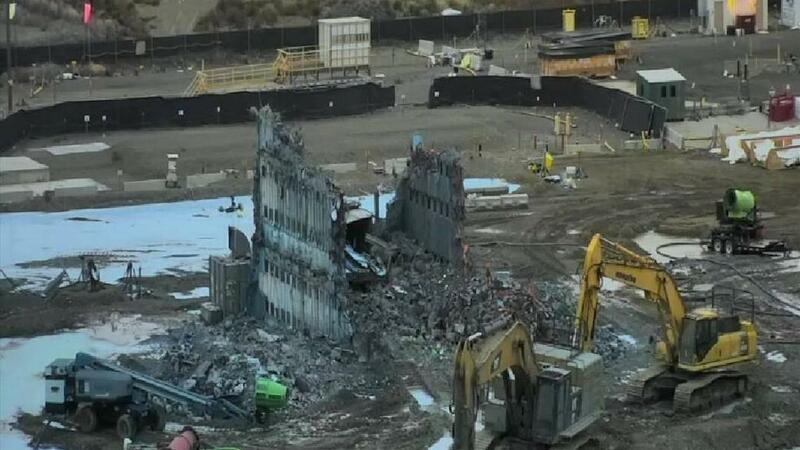 Any pay that CH2M could earn for having the Plutonium Finishing Plant torn down to the ground will be determined when the project is completed. Much of the plant has been demolished, but work has been stopped since December. The 89 percent of pay CH2M earned for fiscal 2017 compares to 92 percent of the incentive pay it earned for work the previous year. In fiscal 2016, CH2M did not do as well in completing projects on time, missing deadlines on three of 27 of them. But it received 87 percent of the pay available in DOE’s subjective review, compared to just 64 percent for fiscal 2017. The CH2M president at Hanford, Ty Blackford, released a brief statement on Monday thanking workers for their commitment to reducing risk at Hanford. Published: May 22, 2018, 9:03 a.m.